Emergency Medicine at U-M plays a major leadership role in several areas: neurologic emergencies, pediatric emergency care, injury prevention, critical care, and stroke. These major research programs contribute to their respective fields and support research and translation to address emerging issues. More information about each of these programs is available below. The overall goal of EMERGE is to reduce the global burden of disease and improve the health of all nations, with an ultimate goal to improve the care of acutely ill and injured patients. 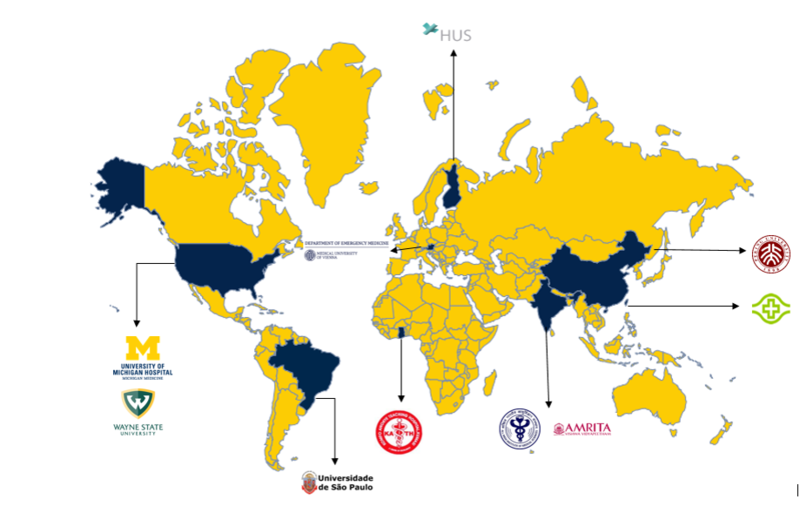 EMERGE will leverage the extensive experience of the Global REACH program at U-M. EMERGE and Global Reach partnership will integrate the epidemiological perspective of medical and surgical emergencies to, build a body of knowledge by collecting the necessary data to guide population health efforts and nurture researchers in emergency care. More information can be found on the EMERGE website. In 2012, the University of Michigan, under leadership from the Department of Emergency Medicine, was named one of 11 Injury Control Research Centers by the Centers for Disease Control and Prevention.  The U-M Injury Center is a multidisciplinary program devoted to reducing and preventing injury caused by motor vehicle crash, violence, prescription drug misuse, concussion, and other intentional and unintentional injuries. More information about the center’s work and activities can be found on the UM Injury Center website. The Michigan Emergency Department Improvement Collaborative (MEDIC) aims to advance the science and quality of how emergency care is delivered through collaboration with hospital emergency departments across the state of Michigan. Participating sites submit data to a central clinical registry. We hold regular consortium-wide meetings to review quality measures, discuss our collective performance, develop strategies to change care delivery, and implement best practices for improvement. As a result, there is a culture of collaboration and free exchange of ideas supported by useful and actionable performance reporting so that those who are best positioned to understand and implement change, emergency physicians, are improving the quality of care for their patients. The MEDIC Coordinating Center is located at the University of Michigan and sponsored by Blue Cross Blue Shield of Michigan and Blue Care Network. The U-M Center for Integrative Research in Critical Care (MCIRCC) is one of the world’s first comprehensive research enterprises devoted to transforming critical care medicine by accelerating science and moving it from bench to bedside. To do this, MCIRCC brings together integrative teams comprised of world-class U-M scientists, clinicians, and engineers with industry partners and funding sources to develop and deploy cutting-edge solutions that elevate the care, outcomes, and quality of life of critically ill and injured patients and their families. More information about MICRCC can be found on the MICRCC website. Michigan StrokeNet is a multi-disciplinary, NIH-funded, regional network of clinicians, researchers, hospitals and health systems working together to speed the completion of clinical trials to improve prevention, treatment and recovery in stroke (both ischemic and hemorrhagic). Led by Drs. Phillip Scott (Emergency Medicine) and Devin Brown (Neurology) at UM, this collaborative is conducting cutting-edge stroke research and training the next generation of clinical stroke scientists. More information can be found at www.nihstrokenet.org. We serve as the Clinical Coordinating Center for the Neurological Emergencies Treatment Trials (NETT) Network. NETT is a major NINDS-funded initiative for developing and performing multicenter clinical trials on many types of neurological emergency, including stroke, traumatic brain and spinal cord injury, and seizures. More information about the project can be found on the NETT website. We are also the lead institution for the Great Lakes Emergency Medical Services for Children Research Network, one of six nodes in the Pediatric Emergency Care Applied Research Network (PECARN). PECARN is a federally-funded, 18 health system network for research in pediatric emergency medicine. More information about the project can be found on the GLEMSCRN website. Funded by the National Heart, Lung, and Blood Institute (NHLBI) to develop and conduct randomized controlled ARDS prevention and treatment trials, the PETAL network focuses on research on prevention and earlier intervention.